Reckless Driving is when you drive with a willful or wanton disregard for the safety of person or property. Essentially, this means you drove in a very dangerous manner. If you are convicted of reckless driving, the maximum penalty is 364 days in jail and a $5,000 fine. There is no mandatory minimum jail but a conviction will automatically come with a 30 day license suspension. A conviction is also considered a strike for habitual traffic offender status. Whether your dangerous driving reaches the level of reckless driving can be a very subjective determination. You might think it was no big deal while the officer obviously disagreed with you. 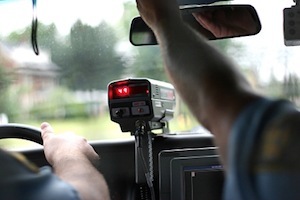 Sometimes, the driving could just as easily have been described as negligent driving which would then mean you are facing an infraction rather than a criminal charge. In other instances, it is plainly obvious to all observers that the driving was reckless. If you are being accused of racing, you are facing a reckless driving charge. While the racing statute is different than the reckless driving statute, racing constitutes reckless driving per the law. When it comes to racing, you do not even need to travel above the speed limit to be found guilty. Racing is when a person willfully compares or contests speeds of one or more vehicles. Often, this will be accompanied by observations of spinning tires, engine revving, and fast acceleration.